Eating disorders come in all forms. With the main eating disorders being anorexia nervosa, bulimia nervosa, and binge eating, there are variations of these disorders along with certain eating disorders that may not have been heard of before. The best way to help others is to bring knowledge to otherwise obscure mental health disorders, such as an eating disorder, to keep someone from putting themselves in an unhealthy situation that could turn into a much graver situation. 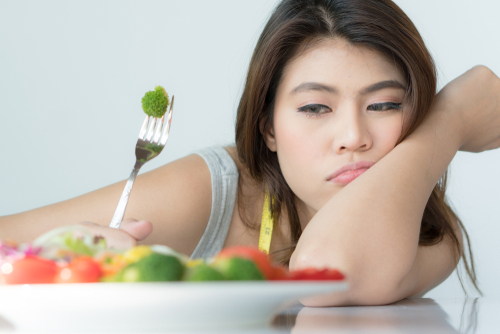 An uncommon eating disorder that can negatively affect someone’s health is ARFID Anorexia. ARFID is an acronym that stands for Avoidant Restrictive Food Intake Disorder. ARFID is a type of anorexia that is more about limiting food intake than having body dysmorphia. A person with AFRID does not worry about getting fat or have issues with body image. The main issue that someone with AFRID anorexia has is with food restriction because of an aversion they have to to the food or because of a feeding disturbance. People with AFRID can limit their food intake for a variety of reasons for why they find food off putting. Onset of AFRID anorexia can happen at any age depending on the circumstances that surround the food. AFRID can happen as early as infancy and can persist as an adult. While some kids may be picky eaters, they will usually taper off the patterns of picky eating as their taste buds continually change. The main problem at any age is that the person does not consume enough nutrients or calories for sustainable health. As a result, children can endure problems with their growth and development while adults will suffer a myriad of ailments that will affect their body function. Because of AFRID anorexia and not getting proper nutrition, a person’s body will automatically slow down all functionality to conserve the meager energy supply that it has mustered up. The lasting health risks and consequences from AFRID anorexia that the body must encounter can be serious and long lasting. Getting diagnosed with anorexia can sometimes be difficult to detect because the body can become resilient when contending with an eating disorder. By prolonging the inevitable, death can be closer than one that has AFRID anorexia could possibly imagine.